Robert is the founder and OHS Consulting Practice Leader of Work Safety Hub, with more than 15 years’ experience in managing safety and risk management programs. "I find it very rewarding to apply a research-based approach to improving organisational safety performance. It's exciting to be one the consultants actively applying lessons from the research in this area." Robert’s other areas of expertise include coaching managers and supervisors in leadership skills. 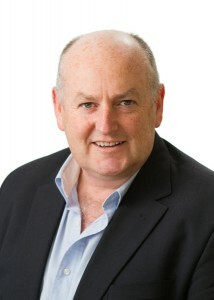 He is currently responsible for the overall performance of the OHS Consulting practice in serving external clients. He works with clients and contractors to identify, evaluate, and solve a wide range of safety and health-related needs. Robert has extensive construction, manufacturing and heavy industry experience, the practice now serves many publicly listed and government organisations. Robert leads corporate-wide initiatives to improve safety performance. Associated with these assignments has been the development and implementation of a number of culturally aligned safety management systems. These programs have saved businesses significant costs by preventing fatalities, injuries and disease, as well as employing effective injury management practices, the systems encourage organisational resilience and improved performance. Robert has in impressive breadth and depth of experience in employee safety standards and practices. He has represented Work Safety Hub on industry groups and committees. He is a recognised authority on workplace safety. Robert regularly leads workshops on topics such as managing contractor safety and how organisations that commit to achieving a world-class safety culture can improve their business’ bottom line outcomes. Robert has written and co-authored numerous whitepapers based on his research, including Beyond the Ordinary and A Guide to Creating a Positive Safety Culture. He has written extensively for business publications and enjoys talking at many events.